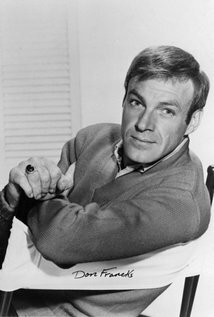 A little late, but we've just learned of the passing of actor and musician Don Francks on April 3rd. You can read the full story here. Francks had been on several Saturday shows, but probably his most recognizable role was of the recurring villain Sabretooth on X-Men: The Animated Series. His other roles included several voices in Inspector Gadget including that of Dr. Claw in some episodes, Jann Tosh and Boba Fett in Star Wars: Droids, Dr. Arcane in Swamp Thing: The Animated Series, Girth and Hobbs in Cadillacs and Dinosaurs, , Fob Canine in Dog City, the Hunter, the Exterminator and Red Beard in two episodes of Tales from the Cryptkeeper, the Swamp Hermit on two episodes of Goosebumps, Kalek in an episode of Silver Surfer, and the Sandman on an episode of Eerie, Indiana: The Other Dimension. He also provided voices for The Care Bears Family, ALF Tales and Piggsburg Pigs.